Summary from Goodreads: All around the world, Latter-day Saint children go to church, sing songs, pray, read scriptures, participate in family home evening, and get baptized. We may meet in different types of buildings or speak different languages, but we have a lot in common. Why? Because no matter where we live, we all love and believe in Jesus, and He loves each one of us just the same. Are you like Pablo, Dimitri, Bayani, Junpei, and Shamara? Do you believe in Jesus too. Heather’s Review: Wow. This book is absolutely stunning. 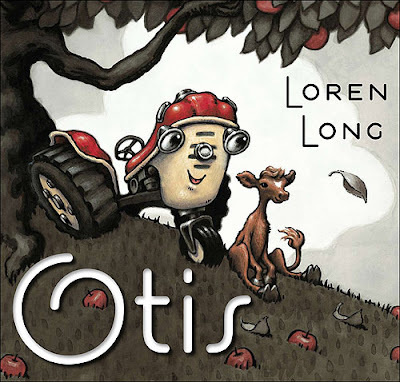 The illustrations are life like and vivid, beautiful and attention grabbing. I enjoyed traveling with children of different nations to their native lands. Readers see what kind of homes they live in and what types of church buildings they meet in on Sundays. From New York City, to Finland, Spain and Taiwan. So many different faces, cultures and ways of life are explored all in a few pages. The teachings simple and beautiful. 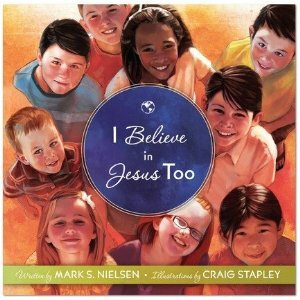 I would recommend I Believe in Jesus Too to all ages. As an adult I found myself turning the pages again and again. It would make a wonderful gift for a child in your life or a treasure for your own family to read out loud and pass on. Thanks so much Mark S. Nielsen for sending me a copy! Author Bio From Raising Memories : In the spring of 1996 I graduated from high school and immediately started my college career that summer at BYU Jerusalem. That experience in the Holy Land changed my life! After a great first year at BYU I received my mission call in April 1997 and was called to serve in the Barcelona, Spain Mission. (NOTE: The LDS church calls young men and women around the ages of 19-28 to serve as full-time missionaries. These missionaries pay for the entire mission and set aside education, jobs, and dating for 1 ½ – 2 years so they can dedicate all their time and efforts to sharing the gospel of Jesus Christ.) On returning from my mission I started teaching seminary at a school for special needs children. In the fall of 2002 I graduated from BYU with a Bachelor of Arts degree in Humanities and a minor in Spanish. Anne, my wife, graduated with a Bachelor of Science degree in Sociology. After graduation we moved to Phoenix, Arizona where I was hired to teach seminary full time for The Church of Jesus Christ of Latter-Day Saints. (NOTE: Seminary is a religious class taught to high school age students. It’s a 4 year course that uses the Old Testament, New Testament, Book of Mormon, and Doctrine and Covenants as the lesson material.) I love my family, the Church, good movies, BYU football, my mom’s spaghetti, good books, softball, Chufi (horchata drink from Spain), trying to make my students and kids laugh, teaching, traveling, and of course writing children’s books. I lived in Russia and traveled around Europe, Israel, and Egypt. As I have reflected on these experiences I have learned that although everyone has different cultures and is different, everyone is also very much the same. Everyone is a child of God and whether they show it or not, everyone wants to be treated fairly, to be loved, and to be respected. It is so neat to know that there are people all over the world that believe in what I believe. When I hear their stories, I want to be better and I want to be like them. I am so grateful for the Savior Jesus Christ. I know that he loves me and that he died for me and for everyone that I meet on this planet. We are all brothers and sisters because of him. About the Illustrator: Craig Stapley is an illustrator whose work has appeared in the Friend and Highlights among other popular magazines. He currently lives in northern Utah with his wife, Crystal and their four children: Ethan, Kan, Logan and their newest addition, Emily Jean. As a family they enjoy traveling and any activity that they can do together.